Inspired by the fedora worn by Indiana Jones Eric began a quest to learn the art of hat making by restoring fine vintage hats when he was 12 years old. After graduating from college with a degree in Aviation Technology and International Studies, Eric completed his commercial pilot training as well. 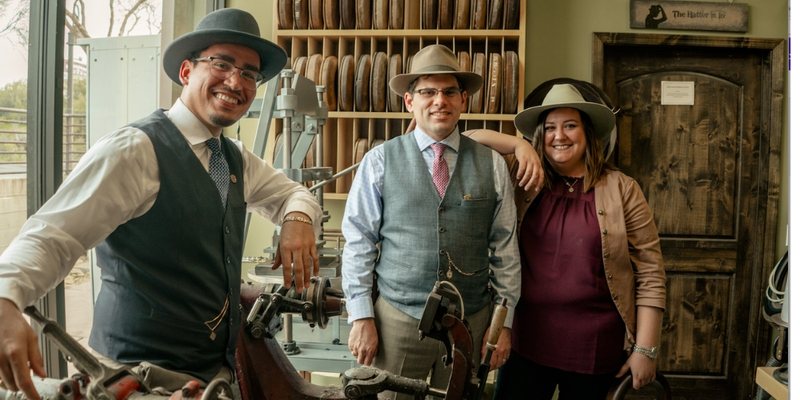 Not satisfied with the corporate working world, Eric sought out to start his own business from his childhood passion and that is how Watson’s Hat Shop was born. Emily has been supporting Eric’s dream of owning his business and becoming a hat maker from the very beginning. Before the hat shop was born, Emily met Eric during pilot training in Dayton, Ohio. 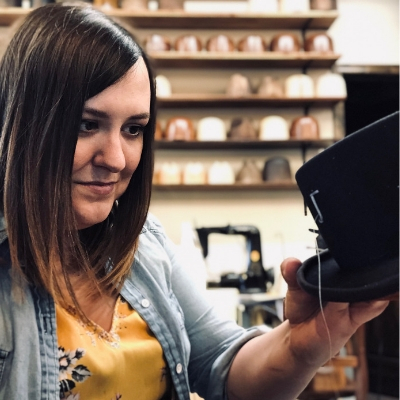 During the first few years of Watson’s Hat Shop, Emily pursued a successful career as a commercial pilot and flight instructor. At a crossroads in her career, Emily decided to join Eric full time at the hat shop in 2017. She manages Watson’s Hat Shop alongside Eric, who has also taught her crucial steps of the hat making process. In addition to business management, Emily enjoys working in production alongside Eric and coming up with creative designs including artistic ribbon work, hand embroidery detailing, and panama hat mastery. She has founded the “Lady Watson Collection” bringing feminine touches to the art of hat making. Being an artist from her early childhood has brought her to master the art of flying, learn the art of business, and now exploring the art of hat making. Alex is a master hatter in the making. 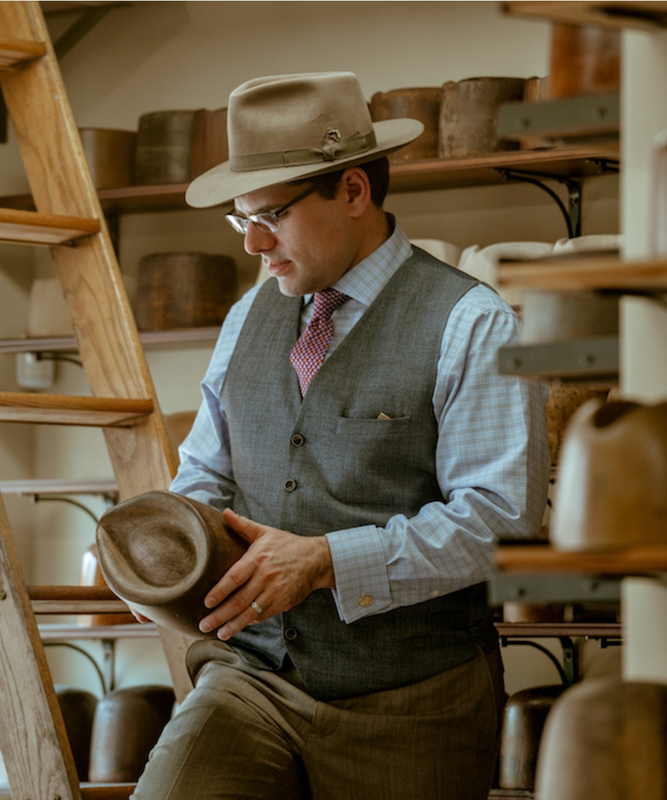 His passion for hats and traditional techniques is what led him to become a member of the Watson’s Hat Shop team. As a native New Yorker, Alex and his family moved to Arizona to pursue what the west had to offer. One day, Alex stopped in the shop and became a repeated customer with the purchase of several custom hats. Alex asked if he could help out and he just kinda stuck! The timing and relevance of him joining the team will go down in the history books. Let’s just say, Alex has belonged here even before he knew it! 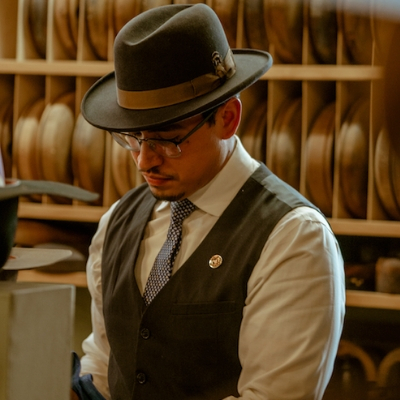 Alex’s knowledge about professional hat making combined with his silk hand in sewing and shaping hats makes him a loyal asset to Watson’s Hat Shop. This gentleman’s spirit is truly from an era in the past. He shares a similar “old-soul” personalty with Eric, making him the perfect apprentice. With his polished appeal and classy hospitality, you are in good honest company with Alex. Derby came to the hat shop in the most unusual way when he was only 6 weeks old. Derby loves to greet people the moment he hears the door bell ring. Sometimes, folks stop in regularly just to say hi to him. While your loved ones get fitted for a hat, Derby will most likely lay in your lap while you wait. 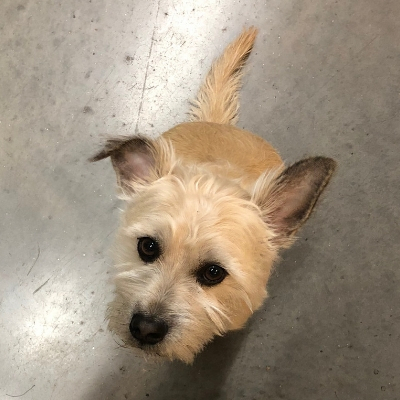 Treats are always welcome with this guy and tummy rubs are guaranteed to be accompanied by a pup-kiss!